Last week, my husband was bugging me to read one of the many new comic books he'd picked up that day at our local comic book shop. "It's so good, you have to read it," he said. He gave me The Look - you know the one. The one where you suddenly feel like you must have two heads or eight eyes or an ear growing out of your forehead. That's the look he gave me. "Maus. 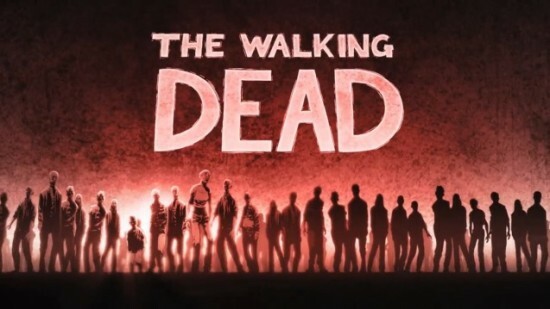 Walking Dead. 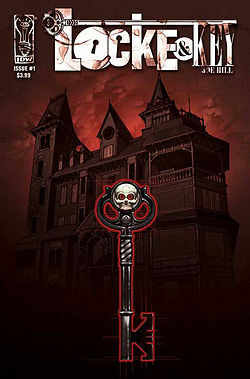 Locke & Key." I hung my head and blushed. Because I so read comics...I'd just forgotten. Later that night I tweeted a rendition of that conversation and generated the most twitter-buzz I've ever created....which was entertaining, and sort of strange. But I thought that meant this merited more discussion. So. Comics. Graphic Novels. Apparently I love them. To be fair, I don't do superhero comics. It's just never been my thing. I love superhero movies (the Christian Bale Batmans rank among my favorites), but the books have just...never caught my attention. Up to a few years ago, I'd never even read a single comic. Never even an Archie. Because, you know, I don't care about pictures and drawings. I care about stories. 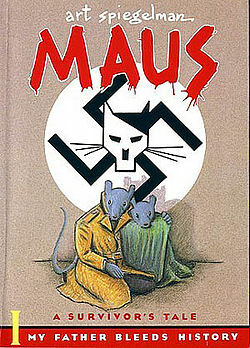 Then one day Charles handed me a copy of Maus. Have you read it? In case you haven't: it's the tale of an Auschwitz survivor, as told to his son. Art Spiegelman, writer and artist, uses images of Cat Nazis and Mouse Jews to punctuate, and in some cases tell-without-words in some of the most powerful stories I've ever seen. Seriously - there's a picture of a mouse, his mouth opened wide in a silent scream, that I can't look at without tears filling my eyes. I actually couldn't read The Walking Dead, since the images of the dying horse in the FIRST ISSUE upset me so much I couldn't go on. I survived the scene in the TV show by closing my eyes - but you can't close your eyes while reading a story, can you? And Locke & Key - damn, I'm addicted. 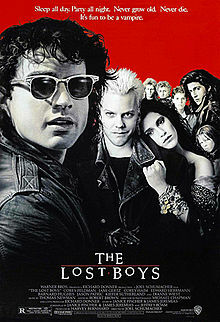 It's a horror comic (btw - typing the words "horror comic" makes me think of The Lost Boys, and now I'm remembering Corey Haim talking about "horror comics" with love and affection), and it's brilliant. Scripted by Joe Hill and drawn by Gabriel Rodriguez, it follows three siblings as they return to their murdered father's childhood home. Only the house? It's not what it seems...and there are dangers there, living and dead, seen and unseen. Magic keys that let you see into your own head, walk through into the realm of the dead, and grow to monstrous proportions can help, but the children must fight for themselves...and each other. It has to be the most imaginative story I've read in years. And Rodriguez's images? They're gorgeous. They're powerful. They make me turn away in fear, and flip to the next page to see what he comes up with next. I love these books. I can't recommend them highly enough. I guess years ago I, a book purist, may have said that pictures could take away from the stories people wanted to tell. But really, the graphics, when used well, enhance....and sometimes begin to tell their own stories. So...next on my list are Saga and Mind MGMT. What's next on yours?